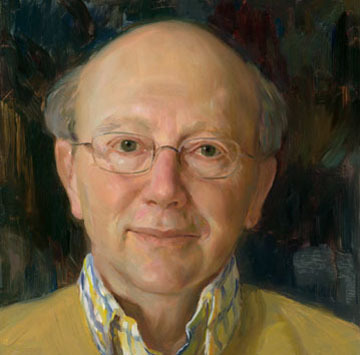 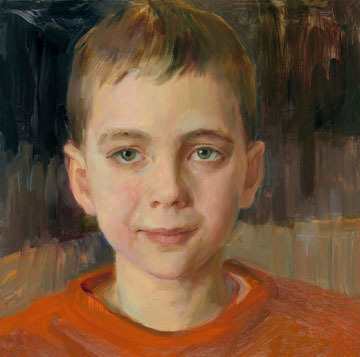 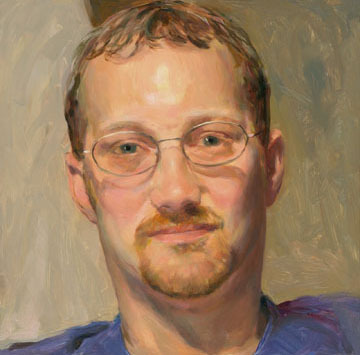 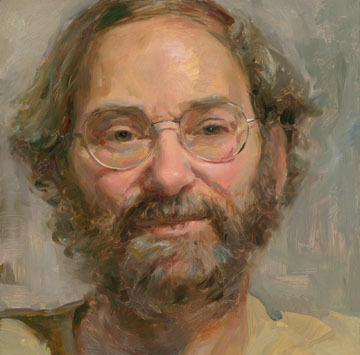 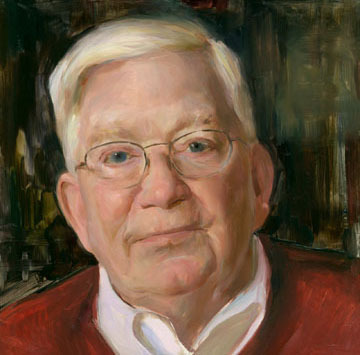 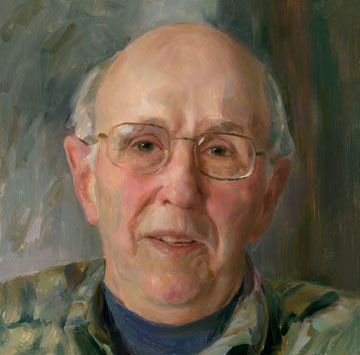 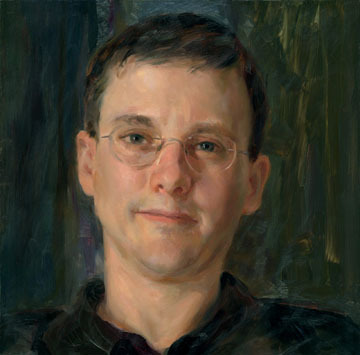 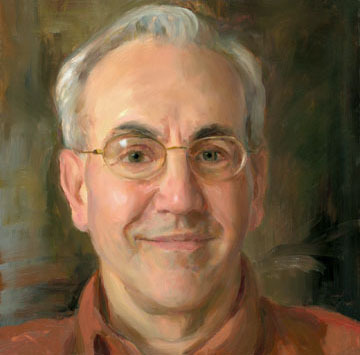 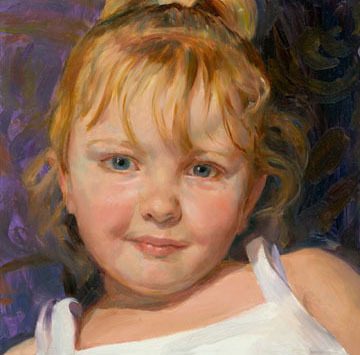 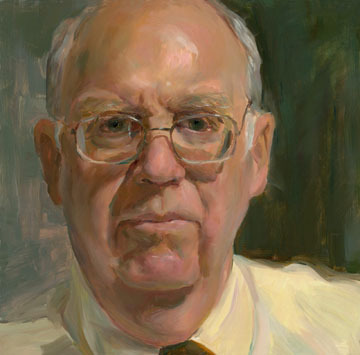 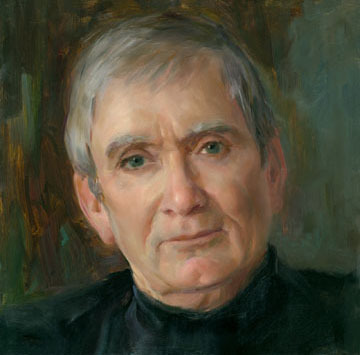 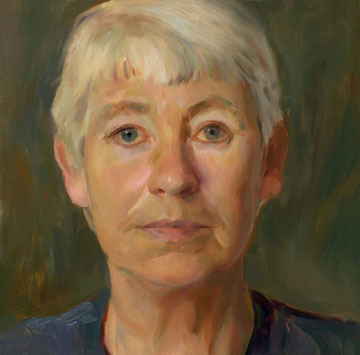 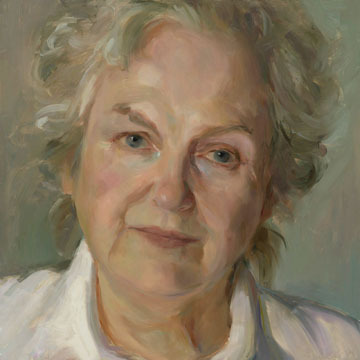 Typically, the subject in a portrait is a person who can afford to commission a painting or someone the artist finds intriguing for his or her own reasons. 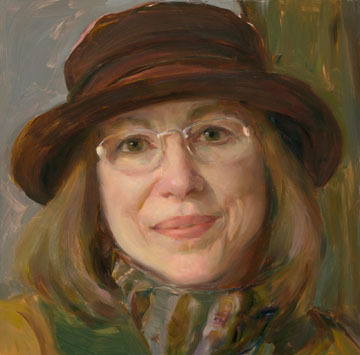 In a Main Street Maquoketa storefront, Rose Frantzen painted portraits from life of anyone in her hometown that wished to pose for her. 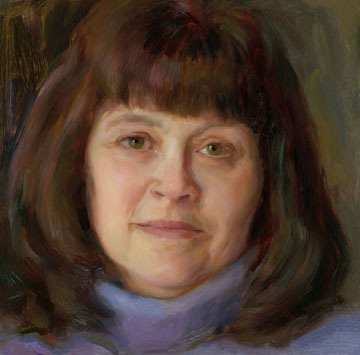 “I wanted to paint my neighbors and fellow Maquoketans without any selection or choice on my part, attempting to capture a direct portrayal of the people around me,” said Rose. 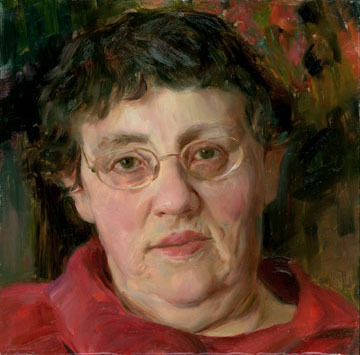 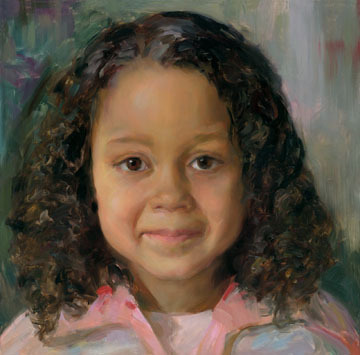 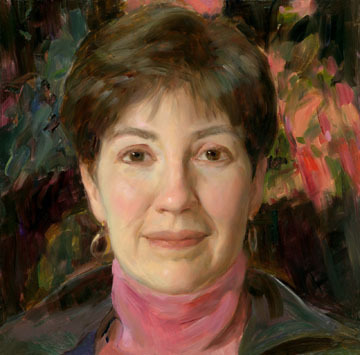 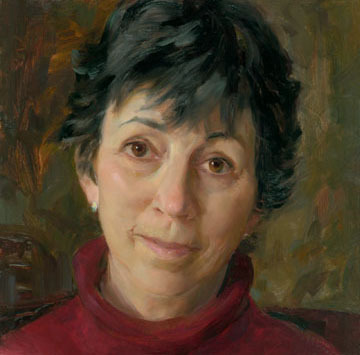 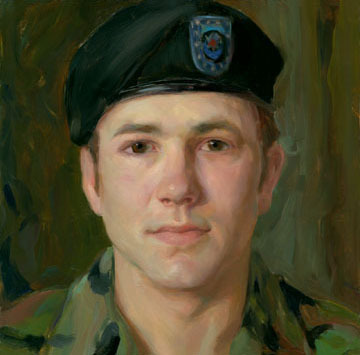 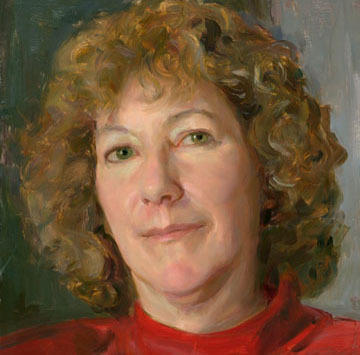 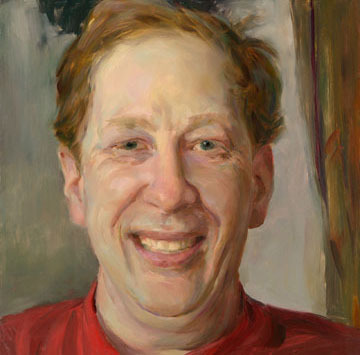 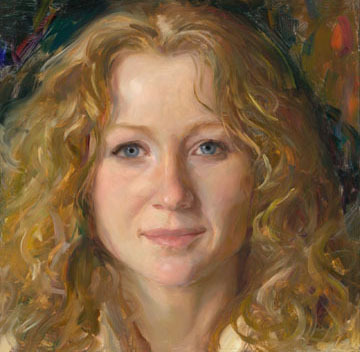 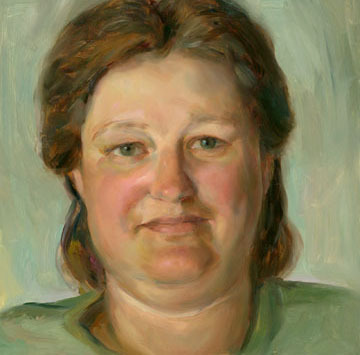 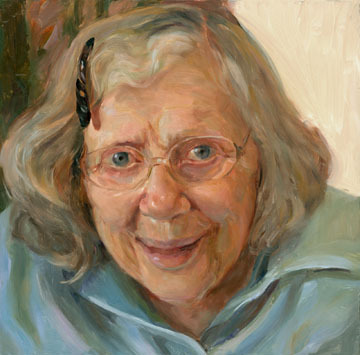 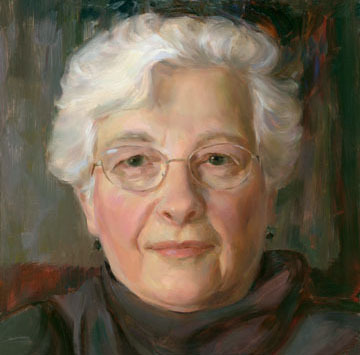 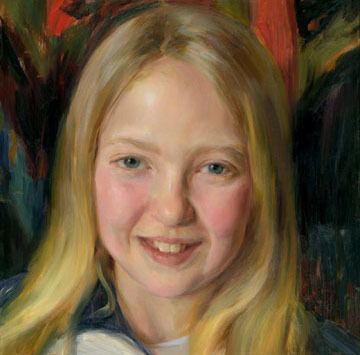 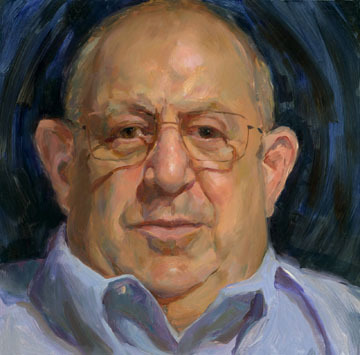 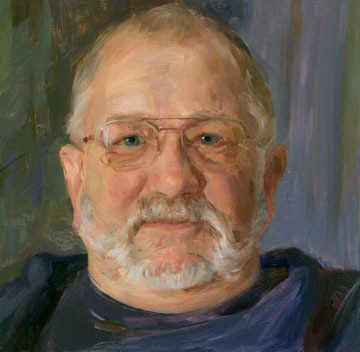 “Together, we could democratize portraiture, allowing anyone to be painted just by showing up and participating.” From July, 2005 through July, 2006, Rose painted 180 12x12” oil portraits. 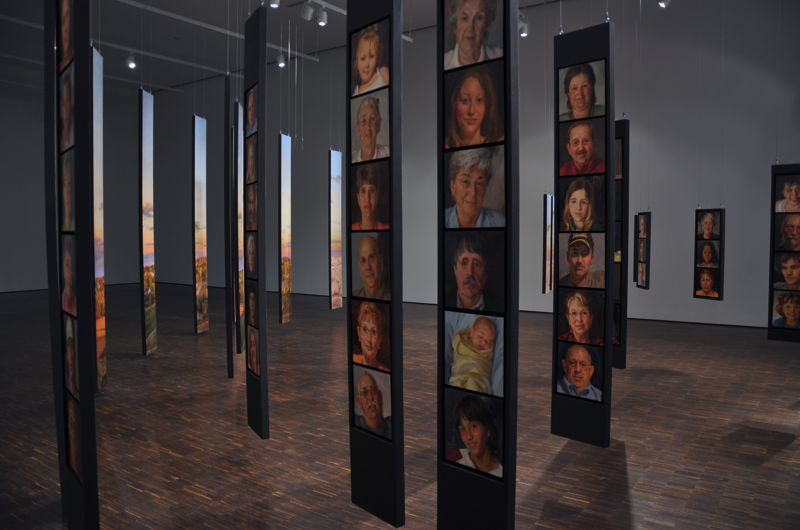 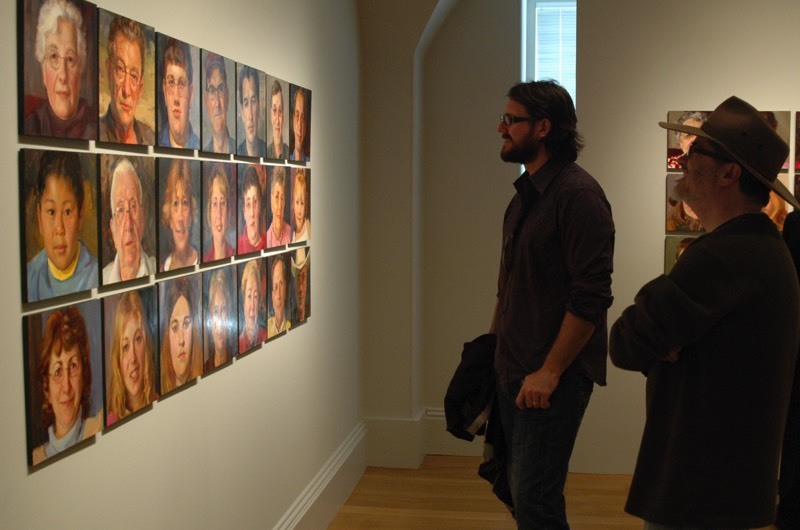 Portrait of Maquoketa had an eight month showing at the Smithsonian's National Portrait Gallery in Washington, D.C. in 2009/2010. 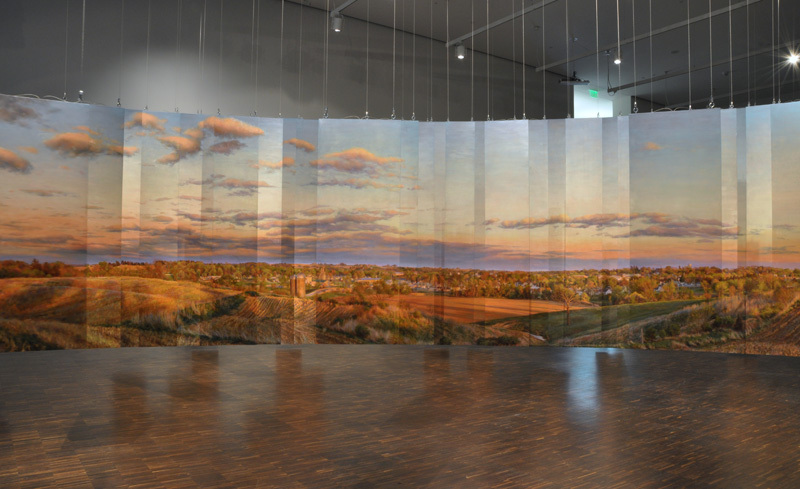 Rose's husband, artist/designer Chuck Morris, did the engineering and mapping of the dimensional view landscape, so Rose could paint the 34 landscape panels and have them all align from one point of view. 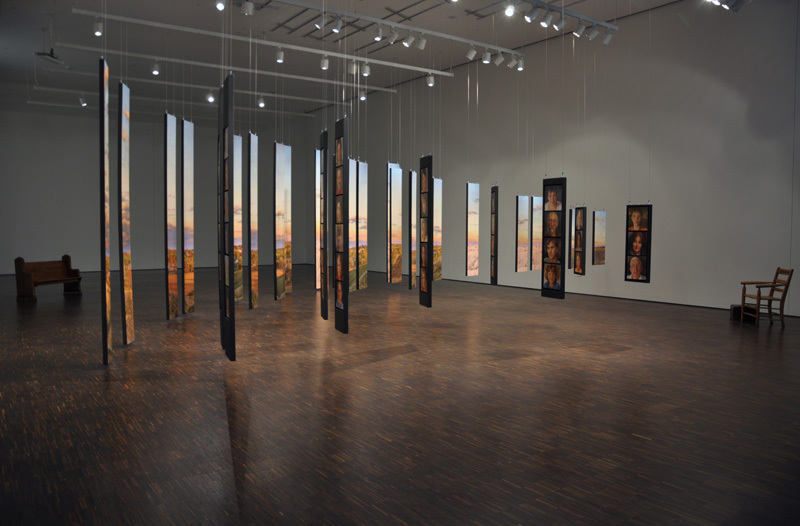 Audio compositions by the artist’s brother, John Frantzen, which play on two localized speakers, allow the voices of those who posed to be heard along with the natural sounds of the landscape and music inspired by the voices and the landscape. 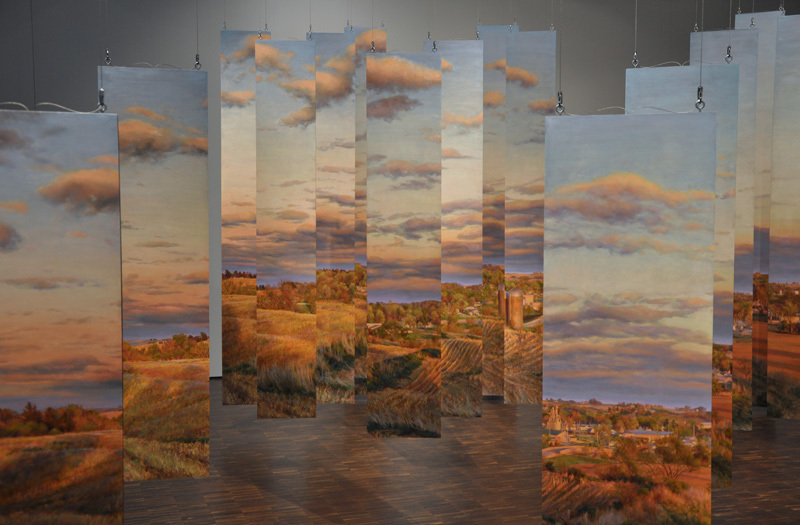 Rose Frantzen in the studio, painting the landscape for "Portrait of Maquoketa" along with shots of the exhibition at the Figge Art Museum. 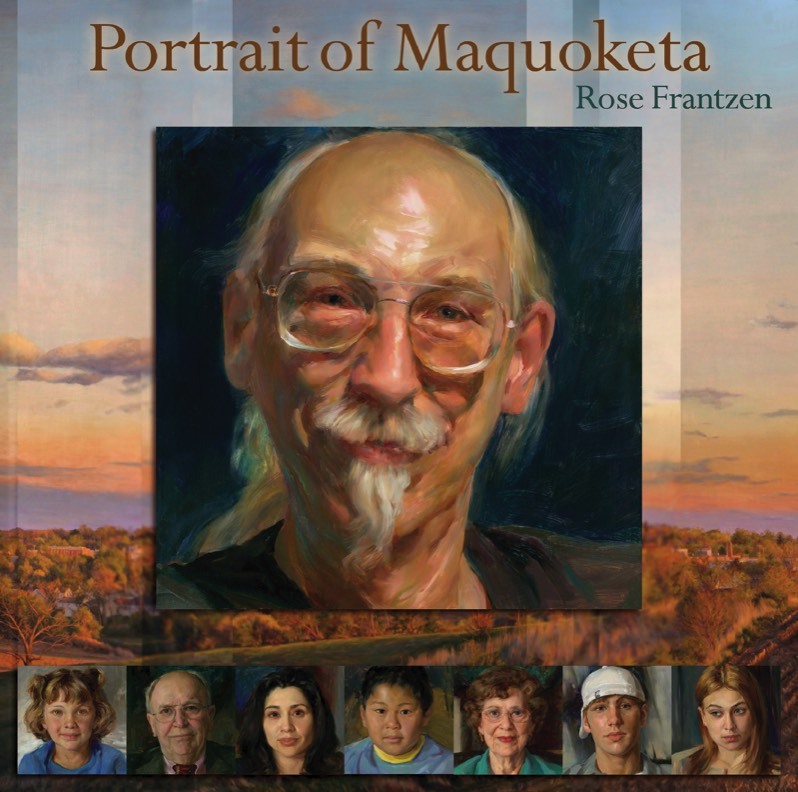 The 112 page hardbound book on Portrait of Maquoketa is available from Old City Hall Press. 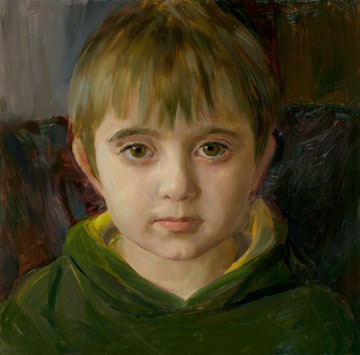 Portrait of Maquoketa was supported in part with grants from the Iowa Arts Council, a division of the Iowa Department of Cultural Affairs and the National Endowment for the Arts and by The Ceres Trust.